BIOREGENE “S” Ampoules deliver a powerful hydrating and firming action for dry, dehydrated, and mature skins. Rich in concentrated micro-nutrients, this product reinforces collagen and elastin fibers and stimulates cellular regeneration for a softer, smoother, and more vibrant skin. BIOREGENE “S” Ampoules are an important firming and regenerating product for the face. It is especially recommended for dry, dehydrated, and mature skins that are susceptible to loss of elasticity. 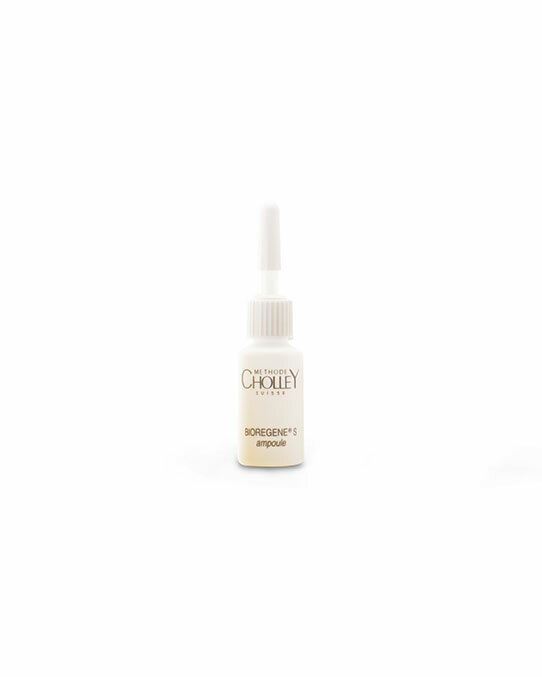 Apply in the morning and evening after cleansing the skin with BIOREGENE Lait. For dry, dehydrated, and mature skins.